The grand basilica of the Sacred Heart on the Mountain of Martyrs (Monmartre) in Paris was built in 1871 in reparation for the sins of the Revolution of 1789 and other revolts initiated by anti-clericals in France. The Sacred Heart was the “badge” of the Catholic resistance from the Vendee whose heroic warriors fought the masonic revolutionaries in 1789. 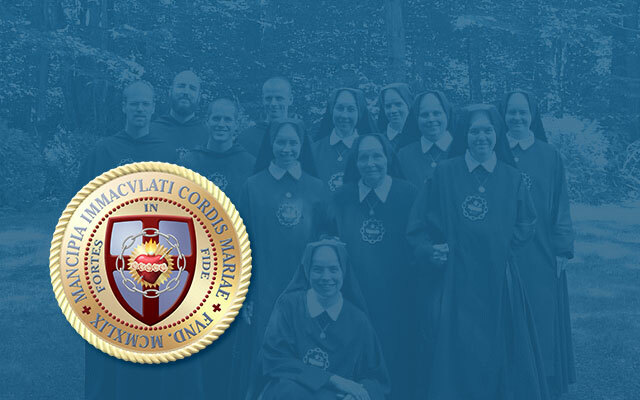 Devotion to the Sacred Heart of Jesus is at the root of all counter-revolutionary movements, large or small, well known or obscure, that have sprung up since the time St. Margaret Mary received this revelation in the 17th century. She received the mission, in the name of the Sacred Heart of Jesus, to ask King Louis XIV to consecrate France to the Sacred Heart and to put the Heart of Jesus on the coat of arms of France. Read in full here. Also Charles Coulombe has an excellent history of the devotion on our website. It begins: Veneration of the Sacred Heart of Jesus has gotten a bum rap. For many people, Catholics and otherwise, the seemingly effeminate images of Our Lord pointing to His — literally — bleeding heart were dismissed as purely private devotional images best suited for old ladies. For others, such things as placards identifying the driver of a car as a member of the Auto League of the Sacred Heart were the worst kind of kitsch. For still more folks of a thoughtful nature, it was all well enough in its way, but a relatively recent devotion without deep roots in Catholic history. All of these notions are dead wrong. You can read the article here.